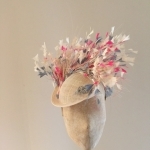 The Bamboo dish hat comprises a small, heart saucer base made from sinamay trimmed with delicate cut feathers around 3/4 of the brim, finished with a vintage brooch. 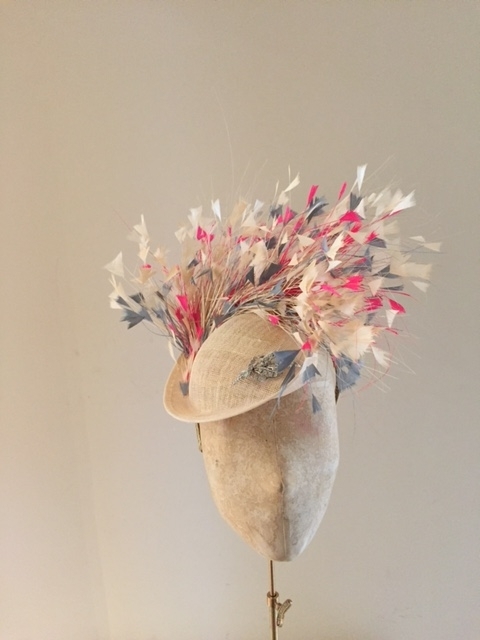 This attached to the head on a headband. 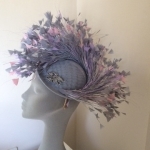 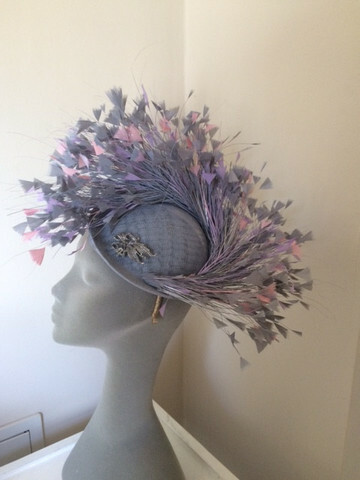 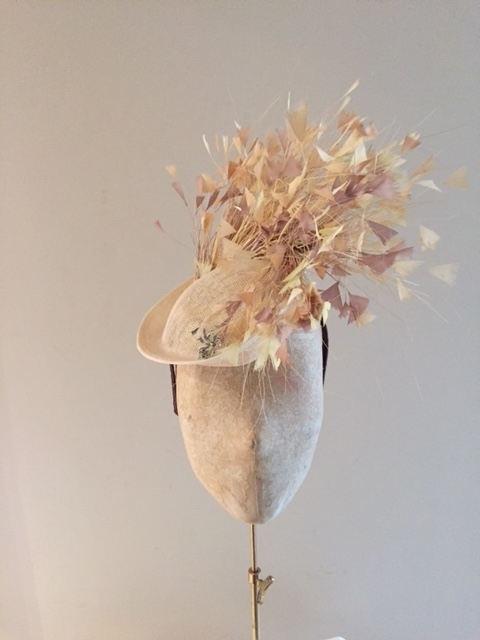 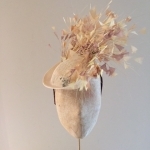 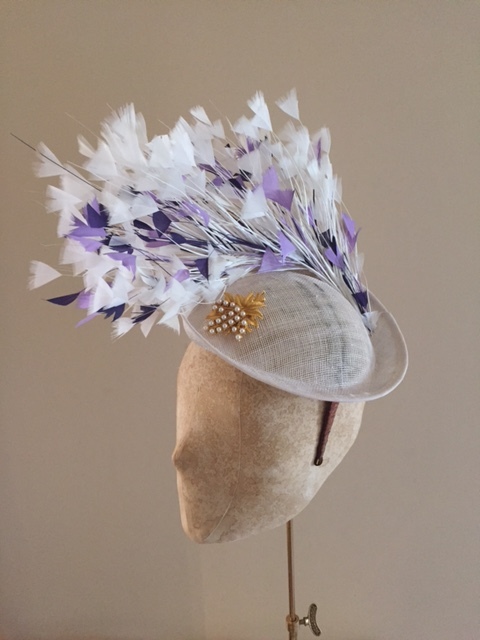 This is a beautiful and delicate hat which would look fantastic at a summer wedding or race meeting. 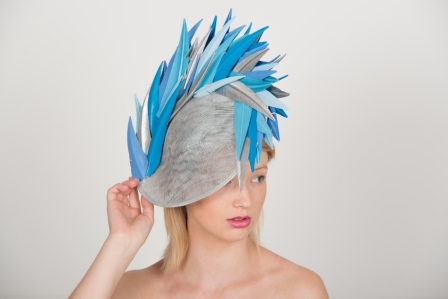 You can choose up to three different colours for the feathers. 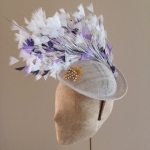 After purchase you will be emailed pictures of the vintage brooches we have for you to choose from.